Jessica’s Theme Band was formed in Athens, Greece in 1989 by Jihn Goudoulas, Jim Karahontzitis and Nick Agathos. They wanted to present a different view to covers such as Tush, I know A Little, Feel Like Making Love, Don’t Believe A Word etc as well as their own, original, material. Following numerous live gigs, collaborations with local acknowledged musicians, and even after receiving the first prize as band of the year in 1991 on a Greek TV show, the band was disbanded in 1994. 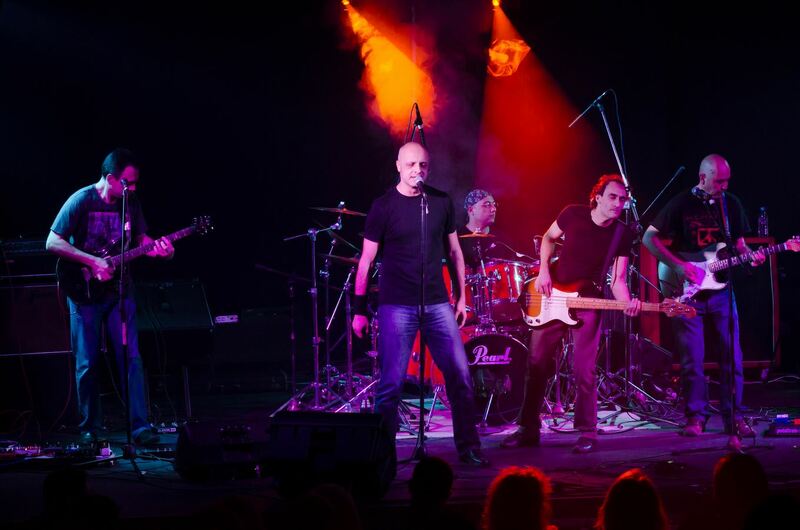 After each member’s musical journey, they decided to re-unite with two significant additions: Tony Linaris on drums and Denis Kaskouras (a later member of the original band) on bass. With a complete line up, the band started working on its first album, in 2013, inspired by bands from the early seventies (Lynyrd Skynyrd, Allman Bros, Molly Hatchet, Eagles), by various British bands like Bad Company, UFO etc and by Irish bands like Thin Lizzy, Rory Gallagher etc. Jessica’s Theme Band’s first album is a solid, clean and true album, created with love and passion. It includes a few hard rock tracks (Hard To Be A Hero, Matter Of Time), and other more southern rock tracks such as Black Cat, It Happened Again, Big Story, Hold On Tight. It’s a mixture of all the genres of rock the band loves – from country to blues, and from rock to hard rock. It’s an album that became real as a result of the strong tie between the band members and the producer. They all created a particular sound to each of the album songs, forming the band’s unique musical identity.